It’s hard to come by a novelty cocktail set THIS classy. But yet, SOUTHERN HOMEWARES has done it again! Introducing the REDNECK GUZZLER SIPPIN’ JAR Set. You get a USA made traditional 32oz Ball Jar, a high-quality reusable acrylic straw, a Sippin’ Lid, and plenty of laughs and down-home style! Order your sets today, and make that next party or shindig one to remember! Enjoy! 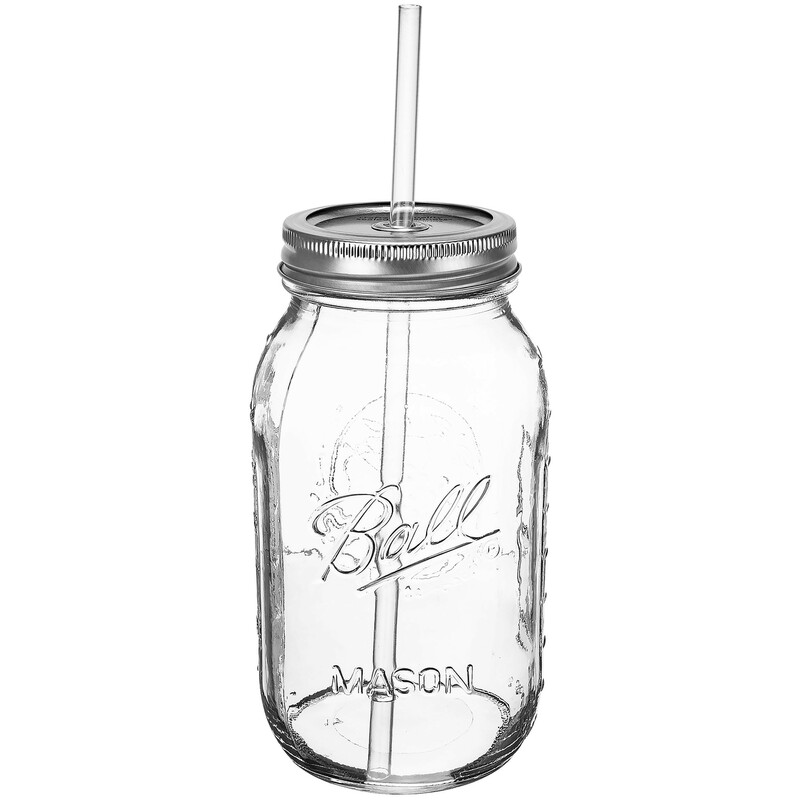 It can be tough to find the perfect shabby chic touches for your next wedding, cocktail party, birthday or anniversary, but with the REDNECK GUZZLER SIPPIN’ JAR from SOUTHERN HOMEWARES you can get everything you need wrapped up in one fun and convenient package! This brilliant and hilarious cocktail or drink serving set comes complete and ready to use! You get an authentic classic 32oz regular mouth Ball Jar, a high-quality reusable acrylic drink straw, and a sippin’ straw lid to tie everything together! As the perfect drinking jar set for weddings and any event where you want a special touch of down-home joy, you can look forward to happy and entertained guests who have PLENTY to sip on! All the elements are dishwasher safe, and you can look forward to lots of little chuckles and laughs as you serve up your favorite mixed drinks, cocktails or even beer and wine in a wonderfully unique way! Order your sets today! You can look forward to a simple solution that gets you everything you need in one place. Not to mention that you may even fall in love and find yourself using these American Classics every day around your home! Enjoy! Includes one guzzler. Lid size is 2.75" or considered regular mouth size. Straw is 9.00" in length, has an inside diameter of 0.23", an outside diameter of 0.29", and the molded ring outside diameter of 0.39". Lid straw hole diameter is 0.30". Lid does have an edge gasket to prevent rim leakage. Overall assembled dimensions are 3.70" x 3.70" x 9.63".